This article originally appeared on the Business Insider website and was written by Jake Bernstein. 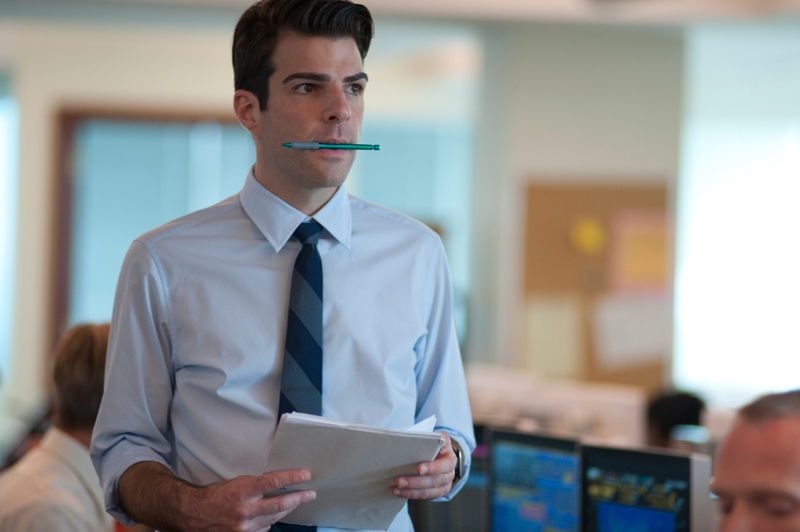 The genesis of Margin Call occurred in 2005 when the film’s writer and director J.C. Chandor and some friends dabbled in New York’s red-hot real estate market. To their surprise, a bank lent them $10 million, with few questions asked, to buy a building on the edge of SoHo. The plan was to renovate the property, but they quickly found themselves in over their heads. In 2006, the godfather of one of the group — a former investment banker whose unease about the market was growing — told them, forcefully, they should sell. What seemed like a defeat at the time proved to be a blessing when the market collapsed. The son of a former Merrill Lynch banker and visual art consultant, Chandor grew up in banker communities in New York and London, which afforded him insights into the world at the epicenter of the crisis. With a background in commercial and documentary filmmaking, he wanted to write a movie that was cheap enough that he could convince someone to let him direct it. The budget would require it to be confined in place and time, and probably a character study. “I came up with this conceit of locking these investment bankers in on the night when one of them thinks that he has found out that the world is coming to an end,” he says. His goal of a small movie ended up being a boon rather than a constraint for the type of story he wanted to tell. A short shooting schedule of 17 days and the complex characters in his script attracted a stellar cast. We caught up with Chandor for an interview last week to discuss the ideas behind the movie and the challenges of making it. What follows are edited excerpts from that conversation. JC: The film for me was supposed to be a tragedy, not the horrible tragedy of someone dying but a tragedy of lost potential. These are the best and brightest that we have. We don’t tax our universities because they are supposed to provide society with a service, which is educated youth ready to come out and work. The abuse that I’ve seen over the last 14 to 15 years since I’ve graduated from college, the manipulation of that system, that training ground, essentially leading toward making money for money’s sake as opposed to banking that is actually serving a purpose was the heart of the movie for me. Don’t get me wrong. I’m a capitalist. Some wanted this film to be more of an indictment of these people, and that’s not where I come from, obviously. A misuse of tremendous potential is what I wanted the film to be about, in a sort of sad way. JB: What was so striking about the movie is how there is no hero who comes and saves the day at the end. JC: In the summer of 2009, we had a largely different, but great cast. It was one year closer to the initial disaster, but it was very difficult to raise money to go make a movie. We had a chance to go out and shoot this movie. If Zachary Quinto’s character had stood up and called in the SEC, and [Kevin] Spacey’s character had been perp-walked out of the building à la Wall Street I, [then] I had a check to go make the movie. It was a very simple change at the end of the movie. It’s often what happens with financiers that come on. My personal belief was that what drew the actors — which was the only reason that person was offering me the money to make it — was the gray area in which the whole thing takes place. Actors love to play — and they don’t often get the chance to do it, obviously — conflicted characters who don’t always do the quote-unquote thing you think they are going do. So there was the practical part of me that was like, I don’t know if all of these actors will stick with me if I did that. Then there really was the main reason. I strongly, strongly felt that you did not get a systemic collapse where the tip of the sword of capitalism had to be socialized — which was of course what had just happened, where the government basically had to come in and take over the banking sector — you don’t get that happening just on individual failure. JB: What is a 17-day shooting schedule like? JC: It is very unpleasant. It was a union shoot, so there are rules. It is a 12-hour day, which means you are actually active on a set for 12 hours. And it was a 6-day week. These are all things that make things cheaper… Your crew is actively working 12 to 13 hours a day, sometimes more pending overtime. Your average studio movie is anywhere from 45 to 90 days. And your average independent film is 35 days. Again, though, we would never have gotten the cast if I had asked them to come 35 days — two months of the summer and spring, which is the prime shooting time when they are being offered studio movies. We were constantly rolling. The major, major upside to that — again, embracing your weakness — I had classically trained, unbelievably driven, hyper-, hyper-talented and hyper-experienced actors. The least experienced person on my movie was Penn Badgley, who has been a professional actor supporting himself and part of his family for 10 years. So everyone there was a professional. So the neat thing is I threw those people, who in their profession are very similar to the people that the movie was about: these type-A, very driven, unbelievably trained, never-supposed-to-show-anyone-that-they-are-panicking people on the worst day of their lives. Not that the shoot was the worst day of their lives, because it actually wasn’t at all, but from a challenging standpoint — to be doing 12 pages in a day is not something that Jeremy Irons is used to doing. As I was editing, you started to see moments of underlying panic in the performance at times. The performances felt very alive. JB: Paul Bettany’s performance is fantastic. In an odd way he is the purest character. JC: For people who have been in that world or know that world, he is the character that people from a performance standpoint are so drawn to because — sounds sort of silly to say — because the character is supposed to be on the surface a kind of jerk, but it really is most subtle. As a key trader on the floor, your life and your job are very simple. It is a very simple set of tasks. It’s not simple to be good at it, but aspects of it are very simple. He is sort of the assassin. He requires that those behind him, the generals, are making the right choices, and that is all he ever expects for himself. It’s neat because audiences are kind of drawn to him in a way that you would never think for the way that character is. If you actually read that part, it’s a despicable kind of character, some of the things he says, but the way he humanizes it — not even humanizes it but made it real — was a great performance. JB:You really captured the tribal nature of Wall Street where the only value besides greed is loyalty. JC: Spacey came a couple of weeks ahead of time. He is a very liberal guy, Spacey, so his original take on the character was far less empathetic than the one I ended up trying to get him to give me. For a couple of days we went to visit exactly that guy in a bunch of banks. At that point, when we went and visited them, they were in total lockdown on their salaries because of the government coming in. They were literally not there for the money. They could have been making a lot of money somewhere else. But it was that they had convinced all their guys and gals to stay, and it was that tribal element that really ended up being what hurt them the most when this whole thing went down. I think Spacey embodied that — hopefully in a way that isn’t as overt as Bettany’s character. But the whole thing with the dog is essentially a diversion for him — in my mind, it’s probably not the way Kevin actually sees it — the whole thing with the dog is supposed to be this sort of absurdist human thing that we do when you are just totally grabbing on to an abstraction to not be thinking about what is actually the problem. JB: I’m wondering if these insights into how Wall Street operates are only available through fiction? JC: I can’t tell you when we were trying to raise the money for this movie, how many people came and said, “Isn’t this better served in a documentary? Isn’t someone else going to tell this story?” The main question I was getting at Sundance when we introduced the film was, “Do we need another Wall Street movie?” The first question I got at the press conference when I landed in Berlin was, “Why has there not been more American arts oriented on this topic?” This is something that has affected so many people in your country and around the world. Why aren’t there like 6 movies coming out of different facets? My belief in doing this film was that out of fiction you actually get — maybe — these guys to sit and watch the movie. The movie obviously doesn’t have a lot of ER type details in it [such as numbers and figures]. And that was for a reason. There were more details in the film. As I was editing it and showed it to a couple of people, and thinking about it myself, that sort of Greek, so to speak, meant nothing to the average audience. You didn’t need it. It just made them feel dumb, basically, and potentially they stopped paying attention because of it. And interestingly, the insider audience started running numbers. They were running my math. They were cross checking what I was saying, and that was not where they need to be either. When there is bad news, no one ever rushes to call me to tell me that I have been passed over for a job. That is not the first call my agent is looking to make. The minute there is any good news, you’ve got six voice messages on your machine and everyone wants it coming out of their mouth. So I tried to use that human nature kind of trick. This is obviously the worst news that all of these people had ever come across in their professional life, and so there was this total reticence to take any kind of ownership for it. Quinto’s character is the only guy who actually gets bullied into laying it out there, because it’s the CEO doing it to him. It was my out in not having to have all the math, to have all the details in there. Hopefully that allows the people in that world to get lost in the movie. That line was what I was trying to walk. The only number in the entire movie [beside a brief trading scene near the end] … is at one point Simon Baker says $8 trillion. That [number] wasn’t potentially what they had on their books, that was a more systemic representation of what was moving around the world – so that is the only number in the entire movie, which is of course kind of funny because it is a movie about numbers. But if you kept the movie moving forward you never had to go there. JB: I wish we could do that! JC: That’s where the whole fiction thing comes in. That was an experiment. The original script does have some numbers in there. And it actually felt sort of important to the actors. The actors were all a little taken aback — not when they saw the movie, interestingly — but when I told them after what was missing. When they were delivering their performances the number lines where ones that they in their minds had sort of given tremendous depth and worth to. But when they actually saw the movie they realized that it wasn’t necessary. Spoiler alert: This article discusses key scenes from the film. 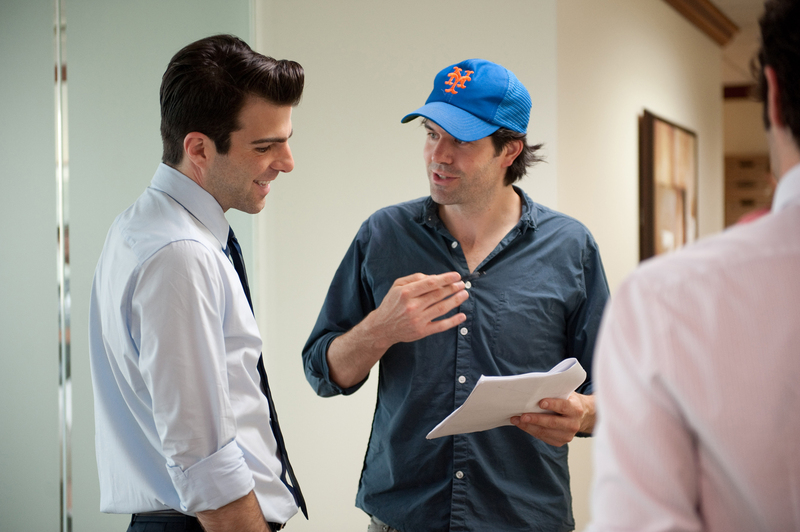 J.C. Chandor has embraced Rahm Emanuel’s dictum “never let a serious crisis go to waste.” The 37-year-old writer and director used the financial crisis as a springboard to create the most insightful Wall Street movie ever filmed. Margin Call captures a day in the life of a Lehman Brothers-like bank as it scrambles to avoid falling into the first cracks of the financial crisis. Briskly paced and marvelously acted, the movie reveals how large financial institutions operate and the motivations of the people who work within them. Margin Call should not be confused with journalism. It is not a precise overlay of the financial crisis. You’ll never hear the words collateralized debt obligations uttered in the movie. As the reporting I did with my colleague Jesse Eisinger showed, the Wall Street behavior that helped create the financial crisis was often much worse than what’s depicted in the movie. Chandor isn’t looking for villains or lengthy explanations. He’s mining deeper truths than the intricacies of credit default swaps. The societal costs of high finance, the power of self-rationalization, and the easy embrace of personal corruption is his terrain. As reporters covering the beat know, Wall Street is a reluctant participant in introspection. Journalists investigating the Street have to pierce a code of omertà, borne of the fear of lawsuits and federal investigations. No one wants to have the reputation of being a snitch in an industry where hiring and bonuses are based on relationships as much as quarterly results. The truth is even more tightly held when it hides the origins of financial disaster, but even in the best of times, these are not, by nature, navel gazers. Traders and market makers are like sharks, always wanting to move forward, onto the next deal. There is no percentage in looking back. The risk manager is not in sales, which is the heart and soul of the institution. He or she only offers recommendations. 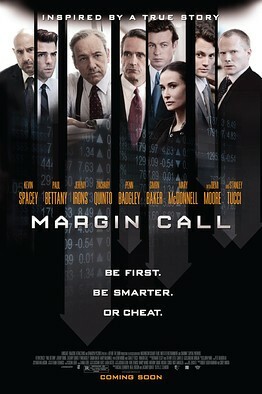 Throughout Margin Call there are a number of references to warnings unheeded. And indeed, in the real world, the success of investment banks at subverting their risk management rules correlated nicely with how badly they fared when the crisis hit. In the ultimate irony, when it’s time for someone to take the fall for the firm’s risk taking, it’s the head of risk management, played by Demi Moore who is pushed to the scaffold. Sullivan and his side-kick Seth, played by Penn Badgley, are still new enough to the system to be doubtful of its utility. Seth is enamored with the money Wall Street offers and particularly impressed by his boss Will Emerson, who pulled down $2.5 million the previous year. They briefly wonder whether that’s “right,” but push the unwelcome thought away unanswered. When Emerson tells the eager young men that “you learn to spend what is in your pocket” and that most of his money is gone, they are incredulous. He itemizes his expenses for them, including $76,520 for hookers, booze and dancers. Their adulation only increases when he admits he claimed most of that back as entertainment expenses. Later when Seth bemoans the fact that normal people will be hurt by their actions, Emerson’s ferocious response is shocking both for its amorality and its kernels of truth. Sam tries to talk Tuld out of his plan. “If you do this, you will kill the market for years. It’s over. And you are selling something that you know has no value,” he says. In the real world, the buyers were not as sophisticated and the deals not as transparent as bankers claimed. The House always wins, Emerson tells his young charges. The corollary is that everybody is for sale. Indeed, anyone who has qualms in the movie finds the right price for their acquiescence. In this world, traders earn bonuses for screwing their customers. Tucci’s character is told he can lose his health care and stock options — or keep them while sitting quietly in a room for a day at $176,476 an hour. “It didn’t seem like much of a choice,” he says. Beyond the sheer entertainment value of the movie, Chandor’s biggest coup is his willingness to indict a system rather than simply blame the individuals within it. Ultimately, Margin Call is the story of a Wall Street that has evolved from an economic helpmate to an economic predator.